Depression and Anxiety... the two most common problems clients bring to psychotherapy today, but they remain some of the most challenging conditions to accurately and effectively assess and treat. Yet new effective interventions have emerged and gained empirical support for nudging depressed clients into action, defeating panic, regulating negative mood patterns, interrupting the anxiety circle, and so much more. Join today's leading innovators and experts, including Judith Beck, David Burns, Michael Yapko, Zindel Segal, Margaret Wehrenberg, Bill O’Hanlon, Danie Beaulieu, Steve Andreas, James Gordon, Reid Wilson, and Judith Belmont for an online video course that will fill your treatment toolbox with practical approaches to free your clients from anxiety and depression and help them rediscover hope. You'll get concrete guidance on how to integrate today's most effective perspectives and methods into your current clinical approach to improve your client outcomes - and keep your practice on the cutting edge. Plus, you'll earn 16+ CE hours! Earn 16+ CE Hours - Included in the Price! Register now for instant access - watch your email for login details to arrive within 15 minutes. Fill your treatment toolbox with concrete, practical approaches to keep your practice on the cutting edge! all with today's leading innovators, plus 2 bonus CE seminars. Margaret Wehrenberg specializes in anxiety treatment. She’s the author of The 10 Best-Ever Anxiety Management Techniques and The 10 Best-Ever Depression Management Techniques. David Burns, adjunct clinical professor emeritus of psychiatry and behavioral sciences at the Stanford University School of Medicine, was awarded the A. E. Bennett Award for research on brain chemistry. His books include When Panic Attacks and Feeling Good. Michael Yapko, a clinical psychologist and marriage and family therapist, is the author of 12 books, including Treating Depression with Hypnosis; Hand-Me-Down Blues: How to Stop Depression; and Breaking the Patterns of Depression. Zindel Segal is head of the Cognitive Behaviour Therapy Clinic of the Mood and Anxiety Disorders Program at the Centre for Addiction and Mental Health in Toronto. Bill O’Hanlon has been a psychotherapist since 1977. He’s written more than 30 books that have been translated into 16 languages. He’s appeared on Oprah and been featured in national magazines and media. Judith Beck is the President of the Beck Institute for Cognitive Behavior Therapy in Philadelphia, a nonprofit that trains therapists in cognitive therapy. Her books include Cognitive Therapy for Challenging Problems: What to Do When the Basics Don’t Work and Cognitive Therapy of Personality Disorders. James Gordon is the founder and director of The Center for Mind-Body Medicine and a clinical professor in the departments of psychiatry and family medicine at Georgetown University School of Medicine. He’s the author of Unstuck: Your Guide to the Seven Stage Journey out of Depression..
David Burns is professor emeritus of psychiatry and behavioral sciences at the Stanford University School of Medicine and the author of When Panic Attacks and Feeling Good. Margaret Wehrenberg specializes in treating anxiety with a holistic approach for symptom management. She’s the author of The 10 Best-Ever Anxiety Management Techniques. Danie Beaulieu is the founder of Academie Impact, a training institute and producer of therapeutic aids, and author of Impact Techniques for Therapists. Steve Andreas has been teaching and developing methods in Neuro-Linguistic Programming for more than 30 years. His most recent book is Virginia Satir: The Patterns of Her Magic. Reid Wilson is the author of Don’t Panic: Taking Control of Anxiety Attacks and Facing Panic: Self-Help for People with Panic Attacks. Featuring Judith Belmont, M.S., L.P.C. Bring valuable ACT and DBT visualizations, relaxation and Mindfulness and Acceptance techniques and diary logs into your practice to help your client master their anxiety and track it between sessions. Judy Belmont is the author of the bestselling book series, Tips and Tools for the Therapeutic Toolbox. Limited Time Offer Closes Soon! 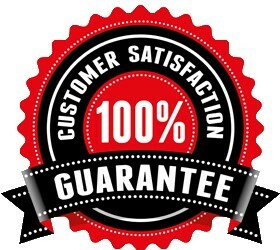 100% satisfaction guarantee—Register for this intensive training course without risk. If you're not completely satisfied, give us a call at 800-844-8260. We’re that confident that you'll find this learning experience to be all that's promised and more than you expected. Earn 16+ CE hours included in the price! Register now for instant access to all course videos and materials online, plus downloadable PDF exercises to work through with the training.